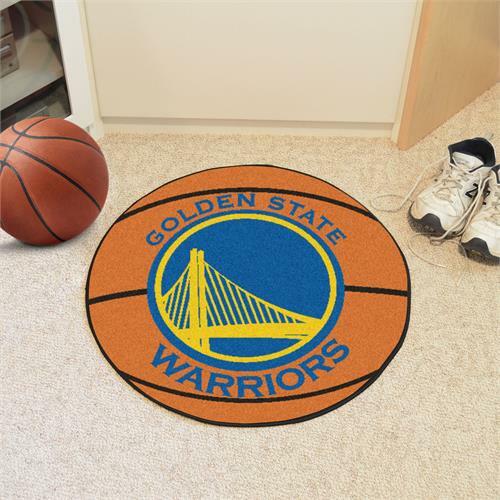 Protect your floor in style and show off your fandom with a Golden State Warriors Basketball Mat from Sports Licensing Solutions. Made with 100% nylon carpet and non-skid recycled vinyl backing, this 27" diameter, team logo Golden State Warriors Basketball Mat instantly turns any room into an exciting fan cave! Can be placed on any floor type. Machine washable; vacuum regularly and spot clean.